Metallica frontman James Hetfield spread holiday cheer this year by delivering presents to police officers and firefighters in the Colorado town he now calls home, reports Ultimate Classic Rock. 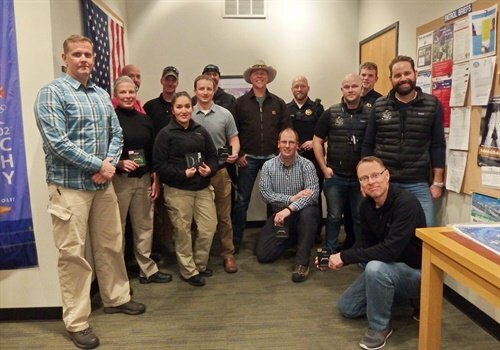 Acting on behalf of the band's All Within My Hands foundation, Hetfield visited the police and fire departments in Vail, CO, on Dec. 20 and 21, bringing Starbucks gift cards to personnel during both visits. Hetfield also posed for photo ops with police and firefighters, as shared by the All Within My Hands Twitter account.